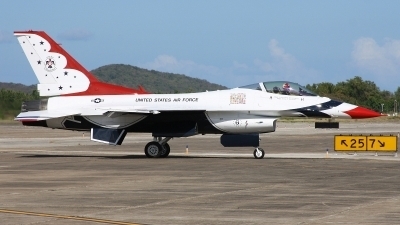 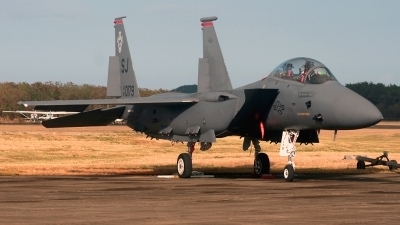 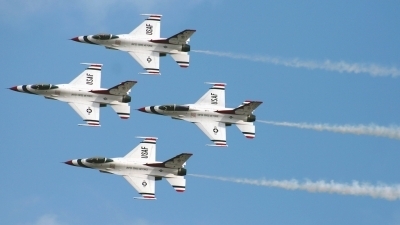 Thunderbird Air Show at Ceiba, PR. 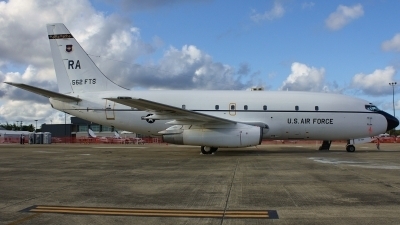 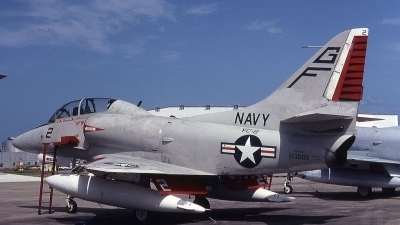 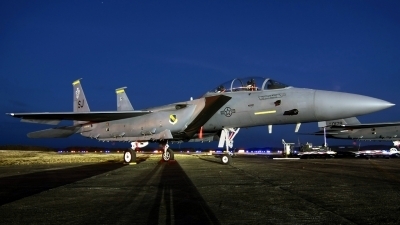 What VAQ-33 called a "Warbird", one of four ERA-3Bs at that time. 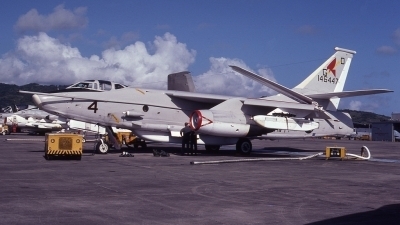 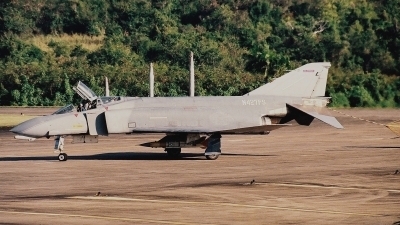 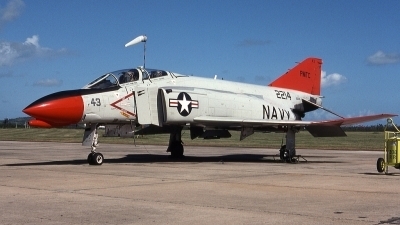 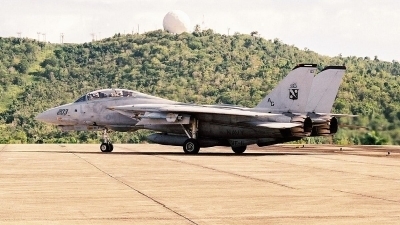 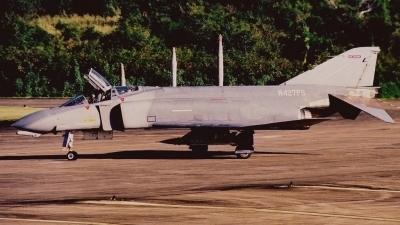 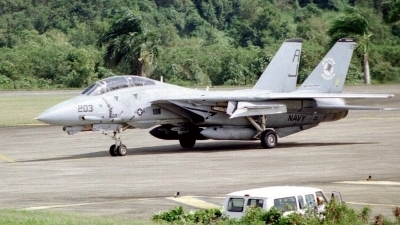 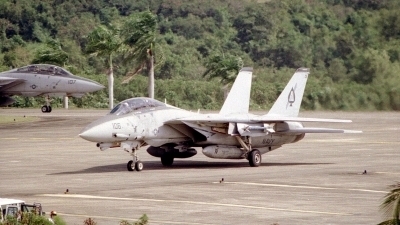 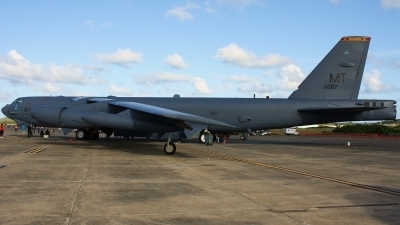 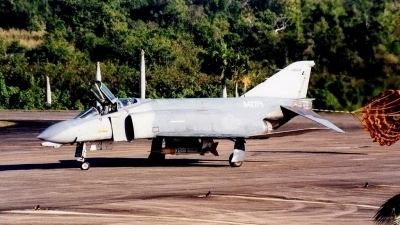 Converted from RA-3Bs, VAQ-34 would get four others. 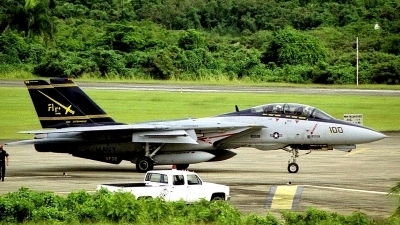 PMTC drone at Rosey Roads for a missile shoot. 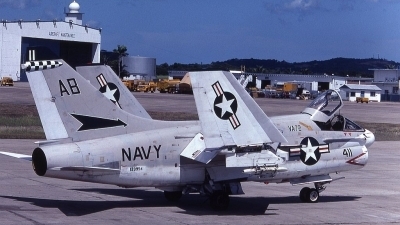 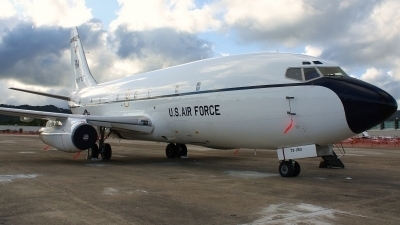 It carries what appears to be a pair of AIM-54 markings on the splitter plate, presumably for two missions it survived. 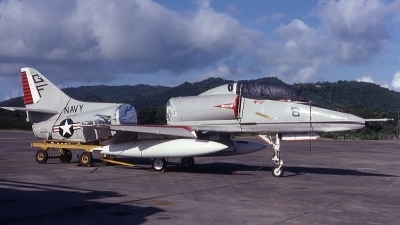 Compron-EIGHT TA-4J split in half for an engine change. 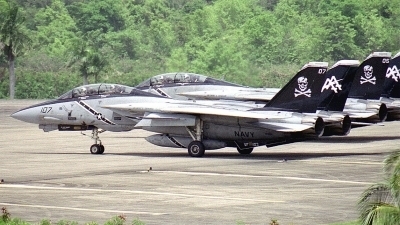 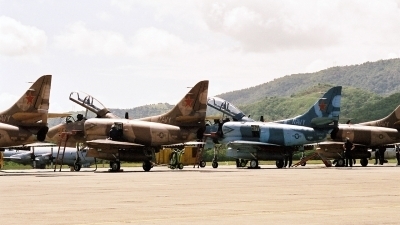 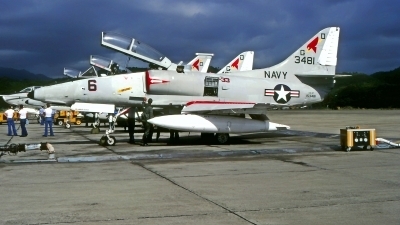 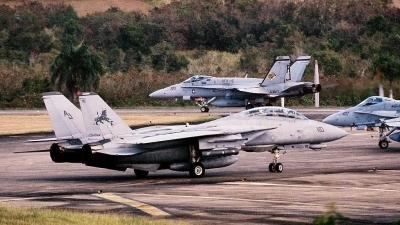 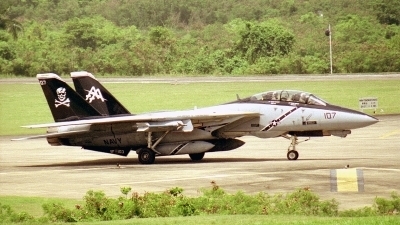 VA-72 Corsair taxis at Rosey Roads.